Tata, got a challenge for you. On the AC box in the engine bay, there are brackets to seemingly mount the a/c lines and/or wiring. Do you have those clamps / screws? still looking for a really nice set of tail lights for a 79 and also I need the front bumper support and brackets for a 79. Heres my number, 847 340 6638....just sold 2 sets of taillights but I have the other stuff. 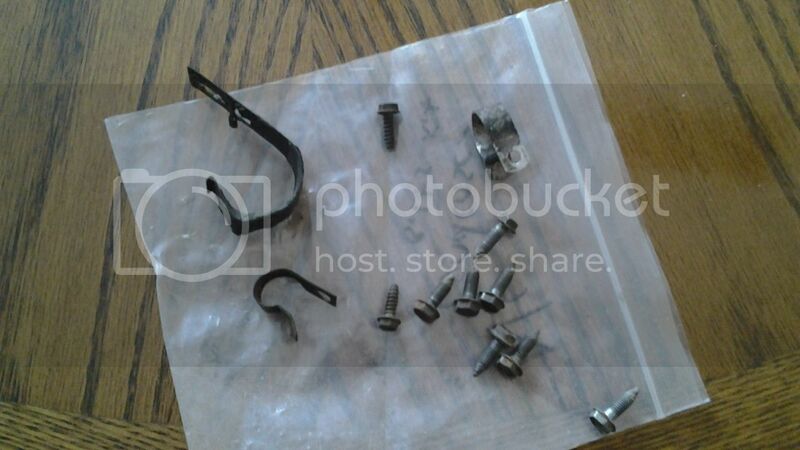 Here is a picture of the clamps I need. They are the black and silver ones holding the A/C lines to the engine bay Aircon box. Just below the green wires. Don't need the bracket that attaches to the box, just the two clamps / mouting stews. I'll give you a call in the next few days once some of this snow melts a little and it gets easier to get around. That's the two clamps I need for the accumulator tubes! I don't need the larger wiring loom hangar, best save it for someone needing it. Also, look at the photo I posted above, there appears to be a clamp (Black in the picture) that holds the accumulator and attaches to the same bracket? I don't have that one as well. I looked at the bracket on the a/c box and indeed it has three holes and I'm thinking one of them is this larger accumulator mount point? I sent out the 2 clamps, I'll have to see if I have an extra big bracket with no accumulator laying around. Didn't have any at shop, but I'll keep an eye out, I have way to much stuff!